The extremely sophisticated Cadogan Wall Light takes its inspiration partly from from industrial factory-style lamps. The result is a clean, stylish design which suits both contemporary and traditional homes. 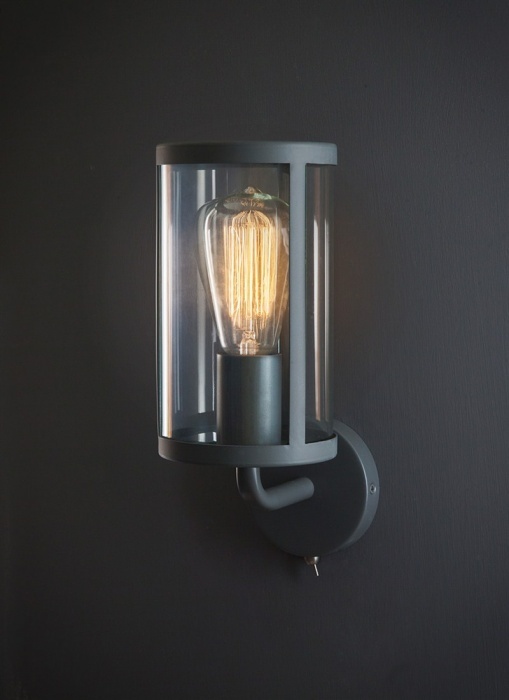 The Cadogan Wall Light has a cylindrical Glass shade with a steel rim, arm and wall mount, which have all been Powder Coated in our light grey Charcoal colourway. It has a toggle on-off switch at its base and is also compatible to be wired up to the mains electricity.